Mammograms, we know how barbaric and uncomfortable the procedure is for all of us. I often find myself thinking, there’s got to be a better way. Wouldn’t it be great if we had something that gives a better picture, doesn’t use radiation, and doesn’t flatten our breasts during the process? We’d all like to skip our mammograms entirely, but the prospect of early cancer detection keeps us going back year after year. Well, it looks like some progress is being made in the world using sound waves. Check out this article and let us know your thoughts. Each year, millions of women undergo mammograms for early detection of possible breast cancer. It's an unpleasant procedure that uses X-rays. 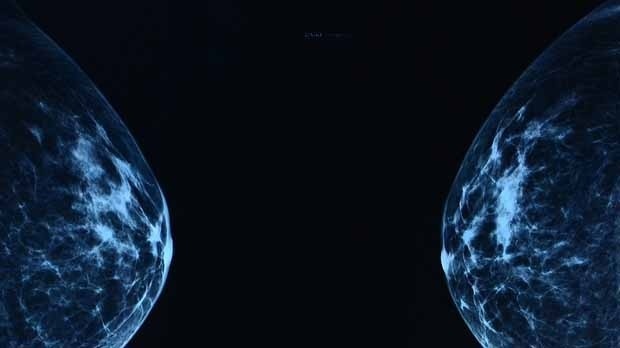 Researchers at TU Eindhoven are working on a 'breast-friendly' method, without radiation, that is more accurate and generates 3D rather than 2D images. They published their proof of concept earlier this month in the online journal Scientific Reports. In the regular screening method the breast is squeezed tight between two plates in order to produce one or more good X-ray photos. Apart from being unpleasant, it is not without risk. The X-rays used can themselves be a contributor to the onset of cancer. Moreover, it is often unclear whether the anomaly found is malignant lesion or not. More than two-thirds of the cases where something worrying can be seen on the X-ray photos is a false-positive: after biopsies, they are not found to be cancer. This is why science is seeking alternatives. Researchers at TU Eindhoven have now cleared a major scientific hurdle towards a new technology in which the patient lies on a table and the breast hangs freely in a bowl. Using special echography (inaudible sound waves) a 3D image is made of the breast. Any cancer is clearly identifiable on the generated images; the researchers therefore expect there to be many fewer false-positive results. The new technology builds on the patient-friendly prostate cancer detection method developed at TU/e whereby the doctor injects the patient with harmless microbubbles. An echoscanner allows these bubbles to be precisely monitored as they flow through the blood vessels of the prostate. Since cancer growth is associated with the formation of chaotic microvessels, the presence and location of cancer become visible. This method works well for the prostate and this is now being widely tested in hospitals in the Netherlands, China and, soon, Germany. For breast cancer the method had not yet been suitable because the breast shows excessive movement and size for accurate imaging by standard echography. Researchers Libertario Demi, Ruud van Sloun and Massimo Mischi have now developed a variant of the echography method that is suitable for breast investigation. The method is known as Dynamic Contrast Specific Ultrasound Tomography. Echography with microbubbles uses the fact that the bubbles will vibrate in the blood at the same frequency as the sound produced by the echoscanner, as well as at twice that frequency; the so-called second harmonic. By capturing the vibration, you know where the bubbles are located. But body tissue also generates harmonics, and that disturbs the observation. For the new method the researchers are using a phenomenon that Mischi happened upon by chance and later investigated its properties together with Demi. They saw that the second harmonic was a little delayed by the gas bubbles. The researchers have now developed a new visualization method. The more bubbles are encountered by the sound on its route, the bigger the delay compared to the original sound. By measuring this delay, the researchers can thus localize the air bubbles and do so without any disturbance because the harmonic generated by the body tissue is not delayed, and is therefore discernible. This difference, however, can only be seen if the sound is captured on the other side. So this method is perfectly suited to organs that can be approached from two sides, like the breast. The researchers are currently putting together an international, strong medical team to start performing preclinical studies. Application in practice is certainly ten or so years away, Mischi expects. Moreover, he forecasts that the technology that has been developed will probably not operate on a standalone basis but in combination with other methods, which will create a better visualization. One of the candidates for this elastography, a variant of echography whereby the difference in the rigidity of the tumor and healthy tissue can be used to detect cancer.